Do You Get Discouraged When Old Problems Arise? Do you grow discouraged when problems you hoped you had conquered are back all over again? Karlton shares how this can happen with our illness progression too. “But how can I bear your problems and your burdens and your disputes all by myself?” (Deuteronomy 1:12). It is hard not to feel discouraged when we find ourselves facing old problems that we thought had gone away. Sometimes old issues arise and force us to face them once again, old illnesses, previous challenges, nearly forgotten issues can come back to haunt us. With my various illnesses I have had periods where there was a measure peace, when I almost felt normal, and found a seed of hope for normalcy. Yet that period was short-lived and the old issues and illnesses reared their ugly head once again. Hope for better days can keep us going through the very rough days of our afflictions. But what do we do when the bad days become worse still? We soon learn that we cannot carry these burdens by ourselves. We need help and strength and wisdom from above to survive the challenges, and face the rising thorns of our afflictions. One day we will know what it is like to be completely and forever free of our health problems, but until that time comes we need the Lord to comfort and help us through the flare ups and daily difficulties of our afflictions. Prayer: Dear Lord, we get frustrated and discouraged dealing with the flare ups of our illnesses. Please give us peace, comfort, and healing today and for the road ahead. Amen. Karlton Douglas lives in Ohio with his lovely wife. One thing he hates most in life is flare ups of his afflictions, but he is grateful that the Lord helps and delivers him in his times of trouble. Do feel discouraged when your illness flares up? Do you know that you are going to need the Lord’s help to survive your affliction? 9 Responses to Do You Get Discouraged When Old Problems Arise? “We soon learn that we cannot carry these burdens by ourselves. We need help and strength and wisdom from above to survive the challenges, and face the rising thorns of our afflictions.” Soooooo true!!! Praise God that we do have Him to help us, as I don’t think I’d cope on my own! I just can’t bear it anymore. I went so far yesterday to reach out to my local politicians for help. Got a reply from a Senator’s office and said they want to help but can’t do anything unless a case is started. Called Medicare and they said they couldn’t start a case unless a physician refuses all treatment. In my area dominated by Mormons, they won’t prescribe any pain pills. All they’ll do is offer treatments such as injections and nerve cauterizations. None of that has helped me. I have been in constant 8-10 scale pain for six weeks now, and no help is coming. 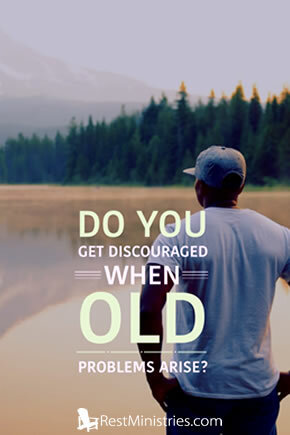 Discouraged? I’ve given up completely. My depression can’t be any worse. Imagine feeling as if someone is constantly pouring acid on your spine, and combine that with the feeling of red hot razors cutting in between your discs. Where is God? My world is one of constant pain, being shut in, no hope, nothing. Sorry, guess I had to vent, but no, I don’t have hope and I don’t see God at all working in my life. I don’t understand why people would want to be doctors but not be willing to help out those of us who really need it. Maybe it’s because I live in South East Idaho. Maybe its like this all over the place. I can’t move. No money to do so and stuck with a mortgage. I can’t do anything. There are no support groups here, and like I said, mormon dominated in an area of small communities where everyone knows everyone. Christians are hard to find. I have no fellowship. Sorry, i just don’t see God working anymore. I don’t blame Him. I just don’t see Him and thus I just despair. Every single source I’ve reached out to for support and comfort is either nonexistent or going. So, where is God? No. I have no hope. Sorry to hear you are suffering so much. Sometimes the heavens seem absolutely silent, I’ve been there and only understood it long afterward. Patience when we are miserable is one of the hardest things in the world. I can only sympathize with your issues regarding pain medications. It seems politics is about extremes and because some people have abused pain medications they want to treat everyone like addicts–it is ridiculous. I know when you are feeling so miserable someone saying they are praying for you may not mean much, but I am praying God will turn your situation around and bring people into your life to meet your needs in this awful situation. I know it doesn’t seem like it right now, but things can get better, God can turn things around, and we pray He will do so for you quickly. Dear Phil, my heart aches for you. We all need to vent sometimes. I cannot imagine living in that kind of pain with no relief. I’m so sorry. I have to take oxycontin to make it through the day. 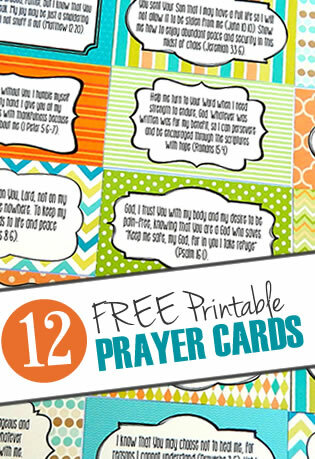 I’m going to pray that the Lord leads you to a doctor who will prescribe something for relief. I also pray that God gives you hope again and that you’ll see His hand in your life and feel His presence. I’m lifting you up tonight to the throne of God, asking for His mercy and grace during your time of need. May He pour out His love over you and reach down and lift you out of the pit of despair. Please don’t give up! GOD LOVES YOU, and we care about you too! You don’t know how many times God has used you to encourage those of us battling these diseases and flares. You are a blessing! This is our Hope, “One day we will know what it is like to be completely and forever free of our health problems, but until that time comes we need the Lord to comfort and help us through the flare ups and daily difficulties of our afflictions.” God is faithful. He will see us through. I can hardly wait to be Home and free! He will carry us until we are in His arms. Sorry to hear you are also having such difficulties with pain. Praying for you. Hello Phil, your comment moves my heart. I have had nerve pain for years now because of severe arthritis. Where I live, medicine is available. Before diagnosis though, pain was excruciating so I pray today for God to provide relief for you. Also though, a friend recommended MSM to me, which is over the counter to help, which I have just begun to see if it works. I don’t know that this would be any benefit or not to you, but just passing this on to you because you are suffering so much. Is there a Calvary Chapel near you? this is the church where I have found fellowship, and finally a person with a lot in common to pray with. Phil, I’m praying for you for fellowship, for God according to His merciful nature and His power to cause pain to diminish or be gone, or by His bringing medical relief for you with prescription that is effective. Praying for the Holy Spirit to comfort you and intercede for you. We have none else to go to, God is our potter, our maker, our redeemer, our fortress, our Abba in heaven. Touching heaven in prayer for you.